ALPR refers to high-speed camera networks that capture license plate images, convert the plate numbers into machine-readable text, geotag and time-stamp the information, and store it all in database systems. EFF has long been concerned with this technology, because ALPRs typically capture sensitive location information on all drivers—not just criminal suspects—and, in aggregate, the information can reveal personal information, such as where you go to church, what doctors you visit, and where you sleep at night. [T]he option of making such a payment at the time of arrest could avoid contributing to already crowded jails, save time for arresting officers, and relieve minor offenders suddenly informed of an uncollected payment when pulled over for a routine moving violation from the burden of dealing with an impounded vehicle and the potential inconvenience of finding someone to supervise a child because of an unexpected arrest. Are there enough departments deploying license plate readers to cause concern? Will they use them in such a fashion? How will anyone know? Is it possible to monitor—or better, measure—any shift in on-the-ground police priorities resulting from the new economic incentives created by the bill? As it turns out, contracts between between Vigilant and Guadalupe County and the City of Kyle in Texas reveal that Henson was right to worry. The “warrant redemption” program works like this. 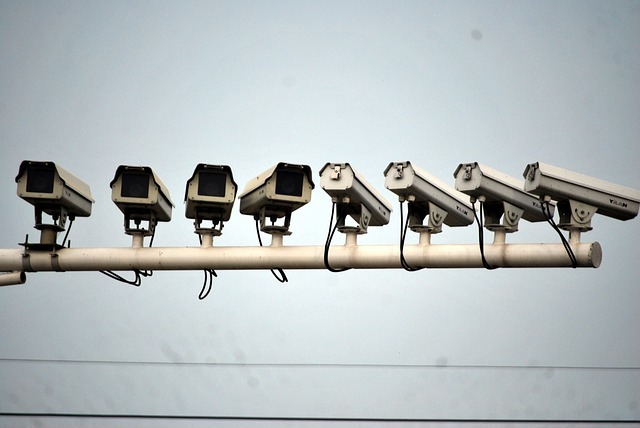 The agency gets no-cost license plate readers as well as free access to LEARN-NVLS, the ALPR data system Vigilant says contains more than 2.8-billion plate scans and is growing by more than 70 million scans a month. This also includes a wide variety of analytical and predictive software tools. The government agency in turn gives Vigilant access to information about all its outstanding court fees, which the company then turns into a hot list to feed into the free ALPR systems. As police cars patrol the city, they ping on license plates associated with the fees. The officer then pulls the driver over and offers them a devil’s bargain: go to jail, or pay the original fine with an extra 25% processing fee tacked on, all of which goes to Vigilant. In other words, the driver is paying Vigilant to provide the local police with the technology used to identify and then detain the driver. If the ALPR pings on a parked car, the officer can get out and leave a note to visit Vigilant’s payment website. But Vigilant isn’t just compensated with motorists’ cash. The law enforcement agencies are also using the privacy of everyday drivers as currency. From Vigilant Solutions contract with City of Kyle. In early December 2015, Vigilant issued a press release bragging that Guadalupe County had used the systems to collect on more than 4,500 warrants between April and December 2015. In January 2016, the City of Kyle signed an identical deal with Vigilant. Soon after, Guadalupe County upgraded the contract to allow Vigilant to dispatch its own contractors to collect on capias warrants. During the second week of December, as part of its Warrant Redemption Program, Vigilant Solutions sent several warrant notices – on behalf of our law enforcement partners – in error to citizens across the state of Texas. A technical error caused us to send warrant notices to the wrong recipients. These types of mistakes are not acceptable and we deeply apologize to those who received the warrant correspondence in error and to our law enforcement customers. From Vigilant Solutions LEARN-NVLS User Agreement. You might very well ask at this point about the legality of this scheme. Vigilant anticipated that and provided the City of Kyle with a slide titled “Can I Really Do This?” which cited a law that they believe allows for the 25% surcharge. We believe that a 25% fee is not reasonable and doesn’t recover just the direct costs, since the fee is actually paying for the whole ALPR system, including surveillance capabilities unrelated to warrant redemption, such as access to the giant LEARN-NVLS database and software suite. There was a time where companies like Vigilant marketed ALPR technology as a way to save kidnapped children, recover stolen cars, and catch violent criminals. But as we’ve long warned, ALPRs in fact are being deployed for far more questionable practices. The Texas public should be outraged at the terrible deals their representatives are signing with this particular surveillance contractor, and the legislature should reexamine the unintended consequences of the law they passed last year. Thanks to the folks at Electronic Frontier Foundation for this one.